Though we may fall again, we move forward. As I look at the smiling faces of the cast, a warm, prickly feeling rises in my throat. I’m going to miss everyone so much. I’m going to save my words for after the episode airs and I finish writing the recap. I want to properly say goodbye to this drama so I ask for your patience. I know that there will be other fans like me who won’t be able to let go for some time, so I am planning a little rehab program, similar to what I did for Faith and Queen In Hyun‘s man. Hopefully I can get it out by the weekend so keep your eye out for it. If you have suggestions, please share! This is it! The finale! Oh, how fast it has come. I’m nervous and excited, so I hope my hands don’t shake that much while I type. I’m not ready, I’m not ready! Tan and Young Do stand apart, but together, looking out into the city. YD finally breaks the silence: “It’s cold.” He’s describing the weather, but it is also how he feels. Tan adds, “It’s cold…and dark.” Silence falls between them again as they each try to fight off the cold and dark feeling hovering over them because of their fathers. At a cafe, Tan discusses his situation with a woman, who we learn is a lawyer. Tan doesn’t trust the lawyers at Jeguk anymore, and he wants this new lawyer’s help transferring legal proxy rights to Won from JS for his stocks. Yoon and Won are busy preparing for battle against JS too. Yoon reports to Won which person has how many percentage of stocks. Won notes that because the margin between the percentage held by JS and her people are close to the percentage held by Won and Tan and their people, it’s going to a battle to try to get the rest of the stockholders to side with them. He calls for a meeting of people who were said to be on Chairman Kim’s side. Unfortunately, nobody is showing up at this meeting as Won, Tan, and Yoon wait. Eventually, two people who up, still loyal to the Chairman after 20 years of allegiance. JS’s meeting of people on her side is a little fuller, and Esther is there too. JS thanks her for being here, but Esther declares that she has not made up her mind yet. She wants to stand opposite to Chairman Kim, but she is not sure if the opposite is JS or Won. At school, CY is telling ES what happened to Chairman Kim and that Tan has gone with his father to obtain the power of attorney from the overseas stockholders one by one. ES understands that is why Tan didn’t call her yesterday. CY also tells her Tan and Yoon will be gone for ten days. 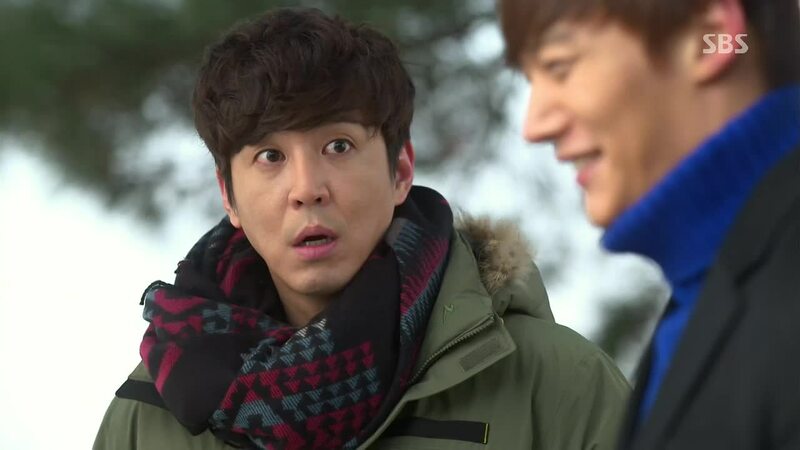 Tan and Yoon are on a plane, and Yoon asks if Tan knows why he has to go with him to meet these people. Tan replies, “Yes. I am a young boy who might lose his father soon, and the young son that is especially loved by the Chairman.” Yoon affirms- “Because business in the end is about moving someone’s heart and getting that person’s signature.” Tan wonders why his father could have done this for 20 years. YD and his dad are having a tense dinner. 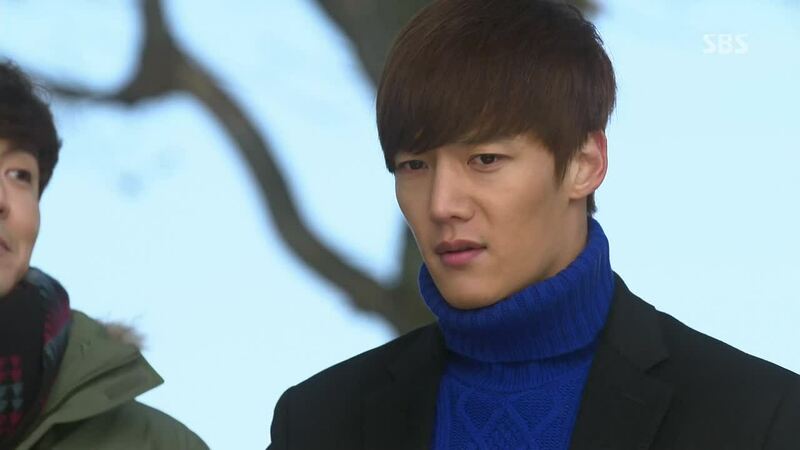 Worried, YD really wants to know what is going on, and as he is about to ask, his father finally speaks up. He informs YD that he thinks the investigation into Zeus will happen quickly, so he will voluntarily go to the police to be questioned. When YD asks if dad will be arrested, Dad tries to bulk up his son the best way he can. He advices YD to not trust anyone except the vice president of Zeus, to only speak through lawyers, and to go to YD’s aunt’s house if he doesn’t return quickly- “Don’t stay alone at home.” He adds lightly with a smile, “Don’t neglect your kitchen duties just because I am not here.” More seriously, he says, “I will come out quickly.” YD, the young kid that he is, can only weakly nod his head, still looking worried and scared. YD has come to his mom’s café. He stares at her from outside the window, but before she can see him, he hides. Tears fall down his face as he stands frozen to the ground, unable to go in. Tan is back in Korea, visiting his dad in the hospital. Chairman Kim is still in the coma, but Won says he has gotten a lot better. Yoon reports that they were able to get many people to side with them, due to Tan’s help. Won asks Tan to go back to the house together to take care of it since dad is not there. Won and Tan are back in their house again. There, Won asks Tan to meet YD. He wants Tan to get YD’s help since he will be able to sign and vote in his father’s stead. 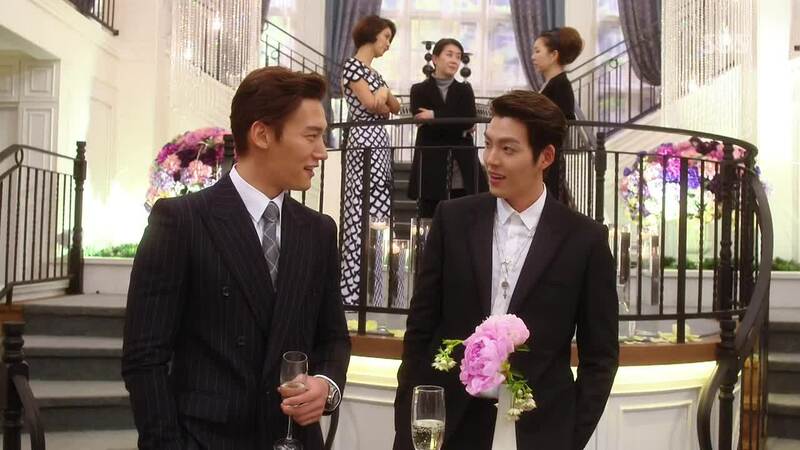 Tan asks Won to promise, then, to keep doing business with Zeus even if YD’s dad gets arrested. Won promises. Tan has come to see ES at her cafe part-time job. 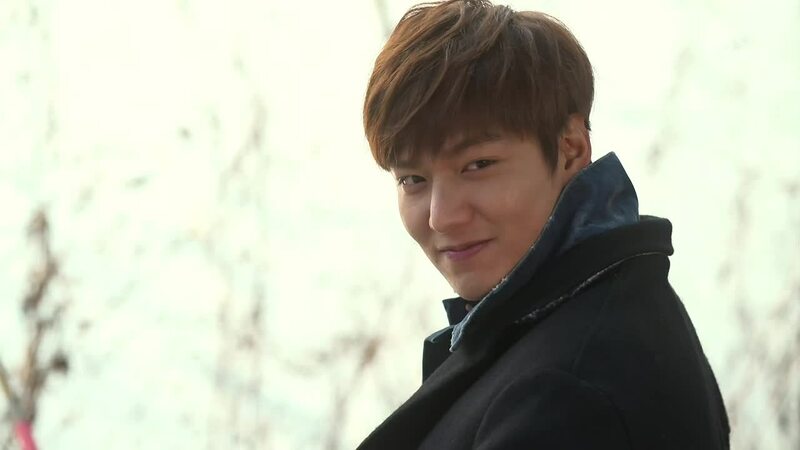 ES is surprised to see him as he calls out “You’re working hard, Cha Eun Sang.” He spreads open his arms, and Eun Sang runs into them. They hug each other tight, happy to see one another again. Tan has come to see YD, saying he is sorry to come at such a time like this but that he needs YD’s help. Tan says he will pay him back for this one day, even if they can’t be friends. YD replies that Tan can pay back now- consider this his compensation for the bad thing he said about Tan’s mom. Tan, as a sign of agreement, just informs YD that he doesn’t need to come to the stockholder’s meeting himself, just send the proxy papers through his lawyers. YD tells Tan to leave since he has to go do the dishes. He explains to Tan that this is the only thing he can do right now. Young Do is washing the dishes, and he cuts his finger on a knife he is cleaning. Yoon has come to see Esther at her office to ask her a favor. Per usual, there is wit and charm in the way he interacts with Esther, and the two lightheartedly joke around a bit. Esther understands that Yoon has come to get her to sign her vote to Won’s side, and she hands it over. Yoon thanks her, and Esther gently wishes the best for him in the future. Yoon does the same. 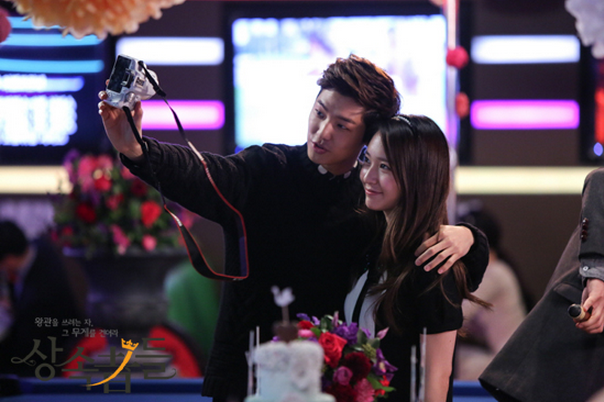 Won meets with Yang, the daughter of BS Telecom and his potential marriage partner. He needs her father’s help, and he asks if she will come to the stockholders’ meeting. Yang points out that it sounds like Won is saying he will marry her- is he okay with that? We don’t hear Won’s answer. The meeting starts, putting Chairman Kim’s dismissal up for vote. JS, Tan, Won, as well as Yang are there. People vote, and the results are tallied. The result is in Won and Tan’s favor- Chairman Kim stays. JS has been defeated, for now. She warns Won and Tan that this is just the beginning. Won replies he learned through this experience which people are the enemies. JS advices him to never let down his defenses. Then, Yoon runs up to announce that Chairman Kim has woken up, and he is in surgery now. JS, who has overhead this on her way out, looks unsettled. KA, Won, Tan, Yoon wait anxiously at the hospital in front of the operation center. After hours that may feel like days, the surgeons finally come out and announced that the surgery was successful. Now they just have to wait for Chairman Kim to wake up. KA starts crying, and as Tan comforts her, Won gives her a look that is probably the softest look he has given her ever. YD has come to his mom’s café again. This time he enters. His mom immediately tears up when she sees him, but YD can’t look at her in the eye yet. She tearfully calls his name. YD cautiously says hi. She asks him the same thing she wrote on the wall of that restaurant- “Did you get along well?” YD replies, “No.” She walks closer to her son and wipes the tears that have started to fall down his face. She comments on how tall he has grown, also adding, “My son has become so handsome.” YD speaks the words he has wanted to for so long-“Mom. Mom.” She nods, “Yes,” and urgently hugs him. She cries that she was sorry; she is sorry for not waiting longer then. She was planning to go see him again soon after….but….she just apologizes for not doing so. Young Do hugs his mom tighter in response as they both cry into each other’s shoulders. HS gives ES some his books. 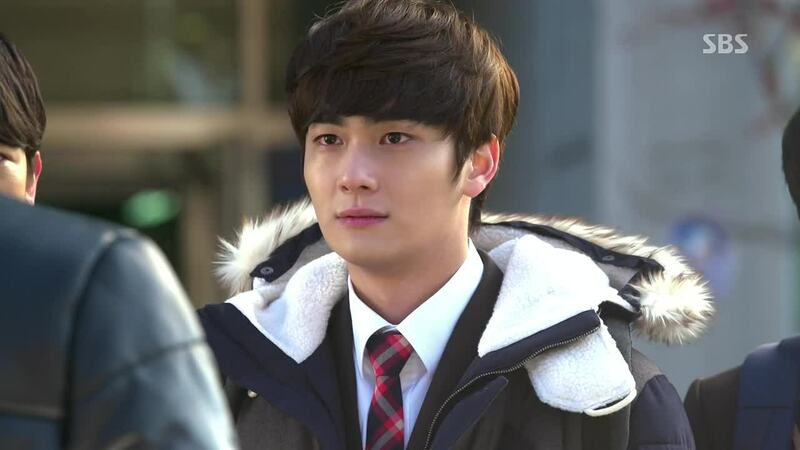 He thanks her, saying, “Thank you, Cha Eun Sang, for being a heartwarming cut (note: like a cut from a movie) in my brutal high school life.” Eun Sang remarks that it sounds like a goodbye. HS just tells her to study hard and the he hopes she and Tan become a boring romance movie. She asks if he is really going somewhere, but he doesn’t answer, just smiling. Esther is holding a meeting with her designers, when R comes in. After the meeting, E asks for R’s opinion about the new line, and R says she likes it, but she wonders if a high schooler’s opinion matters. Esther assures R that she has an eye for such things. When R comments that she doesn’t like the cold, E suggests that they go on vacation together to somewhere warm. R wonders why her mom is suddenly talking about a vacation, so E reveals that she has noticed that R has been taking her sleeping pills. R explains it is because she can’t sleep, but she doesn’t take it often. Esther says she understands and tells R to get a proper prescription then. R has come to the hospital to get the prescription, and she runs into HS there. He has just come out of the psychiatrist’s room. R asks why he is coming to this hospital, and HS replies, “To try to live.” He asks her the same, and R tells him that it is her first time here and she has come because she can’t sleep. Tan rushes to the train station where HS is waiting to go off to the military. As soon as he see HS, Tan starts yelling at HS for going off like this, suddenly and without even graduating high school. Tan wonders how HS’s parents consented to this, and HS reveals that he is going without his parents knowing; his mother should have discovered the letter now. 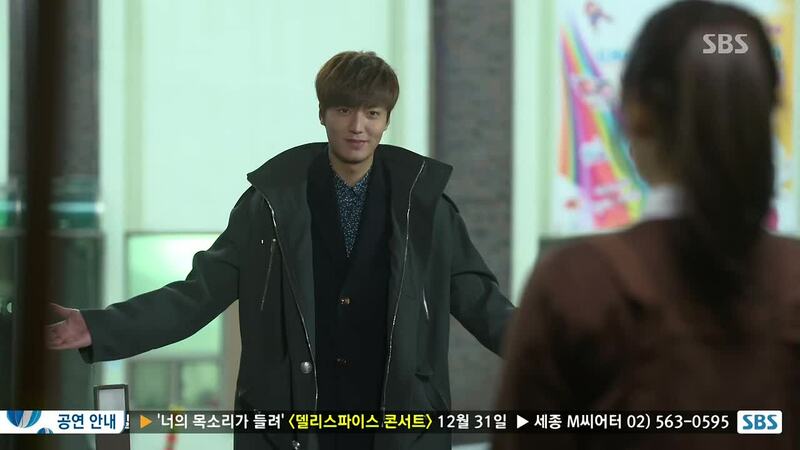 Tan calls HS crazy, tells him to be safe, and pulls him in for a gruff hug. HS hugs him back, surprised, moved, and it finally sinking it that he is really going. ES finds her mom sorting beans, and Mom reveals that she is sending the bean powder to ES’s sister. Eun Suk has texted her, saying she found a job. 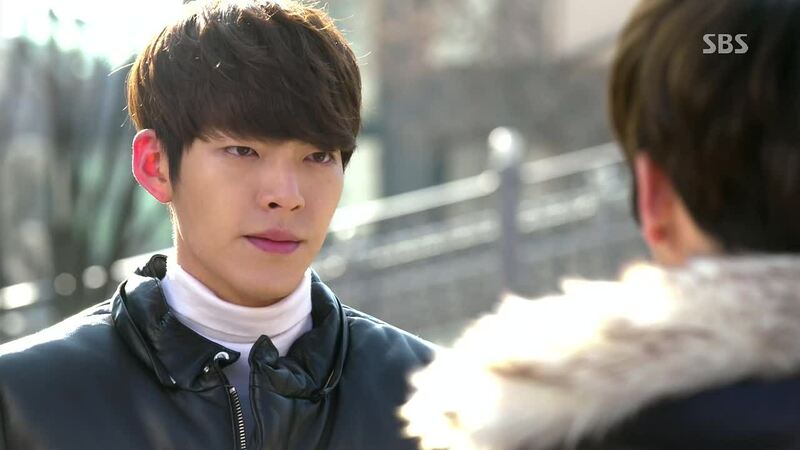 ES appears angry at first, asking for her number and indignant that Eun Suk didn’t anything about the money she took. But when her mom asks what ES will say to her sister, ES replies with a smile that she is going to tell her that mom and her are healthy and happy, so Eun Suk should only worry about herself. Mom asks ES if she is really happy, with a mom like her and having had such a difficult life. ES replies wholeheartedly that she is happy because she is her mother’s daughter- “I love you mom.” Mother and daughter embrace happily, but they have to break apart because ES’s phone is vibrating. ES sheepishly declares, “It’s my boyfriend.” Tan is calling ES to bring her to his father. Chairman Kim is awake, talking to JS. He has heard what JS tried to do while he was in a coma. He announces that he wants to divorce her. She agrees. JS says she will prepare to take half of Jeguk and leaves. Chairman Kim orders his lawyer to prepare for divorce. Tan comes in with ES to the hospital room. She cautiously gives Chairman Kim some books to read. 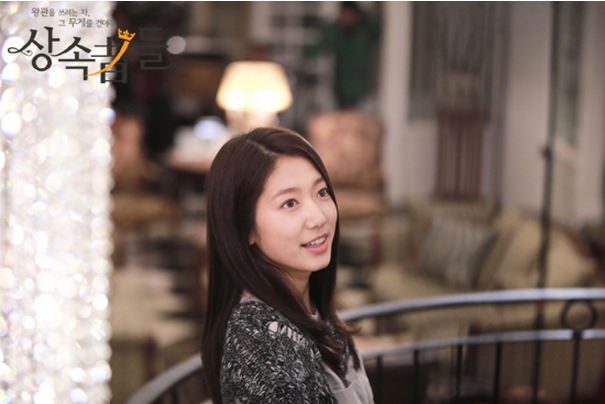 He responds, without looking at her, that there is no need for her to try to look good him, but Eun Sang replies that she still wants to try. She promises that she will pay back the debt steadily so Chairman Kim should be healthy until then. Dad replies he has to live long, then. When ES says she will come back to visit him, Dad tells her she doesn’t have to. But he adds he will read the books well. Yoon and CY have come on a father-son fishing trip. While waiting for the fish to bite. CY takes a picture of them together to send to BN, because BN said she can’t breathe if she doesn’t see CY every hour. Click! CY asks Yoon if he has no plans to remarry or date, but Yoon just asks again when CY will be ready to support him instead. He talks about the difficulties of an adult life and having a job, when Won’s voice is heard, asking, “Are you talking about me?” Yoon and CY look back and are surprised to see Won and Tan standing there together. CY and Tan fish, while Won and Yoon talk over coffee. When Yoon explains that he and CY came fishing because the final exams are done, Won is reminded to ask Tan about his result. Tan is all proud to report that he placed 50th, and Won is happy to hear it. See Tan’s proud face. But Yoon is surprised that Won seems happy with just 50th. 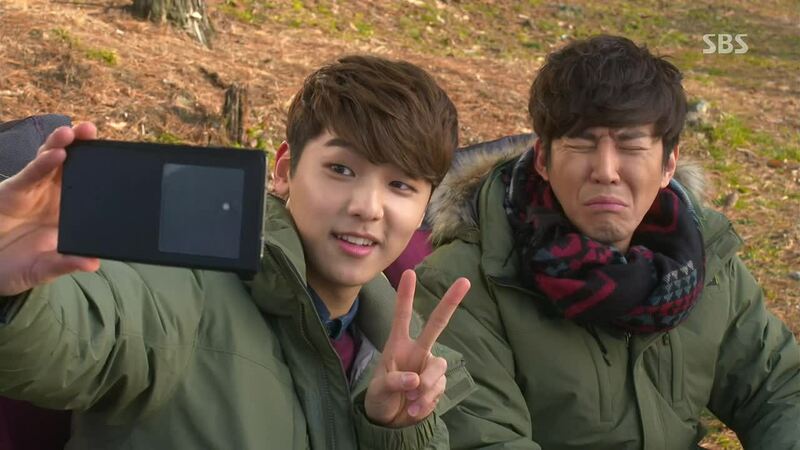 See Yoon’s shocked face. Won asks how CY did, and Yoon rubs it in his face that CY always gets first place so he doesn’t even think about asking anymore. See the face Won gives Tan at this revelation. Tan, embarrassed, gets mad at CY and scurries off. Yoon says to Won, “It would be nice if the days were always like this.” He asks Won if Tan doesn’t know yet, and Won confirms. Yoon informs him that the news report will go out tomorrow. Poor, dear Hyun Joo. She reads the news report that Won is getting to married to Yang of BS Telecom while sitting at the bus stop. She cries quietly, hot tears falling down her face and onto her hands. YD is back at the motorcycle shop, this time for inspection, not for customization to make his motorcycle faster. When the technician takes notice of that, YD replies it is choosing safety over getting a kick out of speed. While looking at helmets, and notices the cut he got from cutting himself while washing the dishes before. A girl comes into the motorcycle shop with chicken delivery and this brings up the forgotten memory of his real first meeting with Eun Sang, not the one at the convenience store. He says, “Our first meeting preceded our memory.” He then remembers ES giving him a bandaid before, and he puts one on now over his cut. At MS’s studio, YS, BN, and CY play a card game in which they have to describe a them using the cards. CY picks the theme “18 years old,” and they start playing. “At 18, one causes pain to oneself, is lonely, and sometimes have to fight a great enemy, but has a passionate heart, and has grand dreams. When BN loses and she has to grant wishes, CY asks for a kiss on the cheek. BN turns to do it, but CY moves his face, and gets a kiss on the lips. YS wishes they break up. Tan gets his notebook mailed back from his teacher from the US. The teacher has written a question for Tan on the page of his notebook where Tan had written, “One who wants to wear the crown, bears the crown.” He asked what kind of crown Tan was trying to wear- fame, wealth, or love? Tan continues, “And I have become a senior in high school.” We see Tan walking to school. MS takes a picture of him, saying he is commemorating the face of someone who has crossed the threshold of the world. Tan sees Rachel who doesn’t say anything to him as she walks away. He also sees lovey-dovey CY and BN, and they tease him about his low ranking again. Tan then sees YD. They just walk past each other, but both have small smiles on their faces. We are brought into Tan’s imagination of the party ten years from now. Everyone is there: BN, CY, YS, HS, R, and YD. It seems HS has become a director. He invites R to the premiere, and R shyly says she will think about it. YD is talking to MS on phone, because his serving his mandatory military service. YD is working at Zeus successfully, and Won compliments him. Chairman Kim is still alive, and Yoon is still there by his side. JS is also at the party, looking happy and friendly with KA. ES’s mom is there too, and KA is surprised to find out that ES’s mom is younger than her! Tan walks to his room, and we hear, “And even ten years from now, like the way I passionately ran to you when I was 18, I hope that I am standing on the road and you are at the end of the it- that is the wish I made when I blew out my birthday candles.” Tan finds ES in his room- they kiss. Tan and ES walk hand in hand together as the snow falls around them. Tan narrates, “At 18, we fell for each other, liked each other, cried, ran away, knelt down, and turned our backs to each other many times.” We see scenes of Tan and ES turning their backs to each other in the past, hurting each other, and running away from one another. ES narrates, “Still, at 18, we ran toward each other, held hands, and tightly embraced one another.” We see scenes of Tan and ES hugging. Back to ES and Tan walking in the street. Tan asks when ES is going to buy him the meal she promised, wondering if the reason she isn’t is because she wants to cook him a meal every morning. He asks, “By chance, did I just receive a proposal from you?” ES sticks out her tongue, saying no, and the two continue to joke around with each other. And so it ends- Eun Sang and Tan’s long battle to overcome their own fears and worldly opposition against their love; Tan, Young Do, and Rachel’s struggle to have the familial love and support they need; Hyo Shin and Ki Ae’s battle to find freedom; and Won’s upward climb. Episode 20 was purely a wrap-up episode as it struggled to rapidly tie up all the loose ends of its characters and give us the sweet moments of happiness. The change in YD’s dad was too sudden, for example. Also, why didn’t YD’s mom come back to see YD earlier? The only story that wasn’t wrapped up with a bow on top was Hyun Joo and Won’s story. 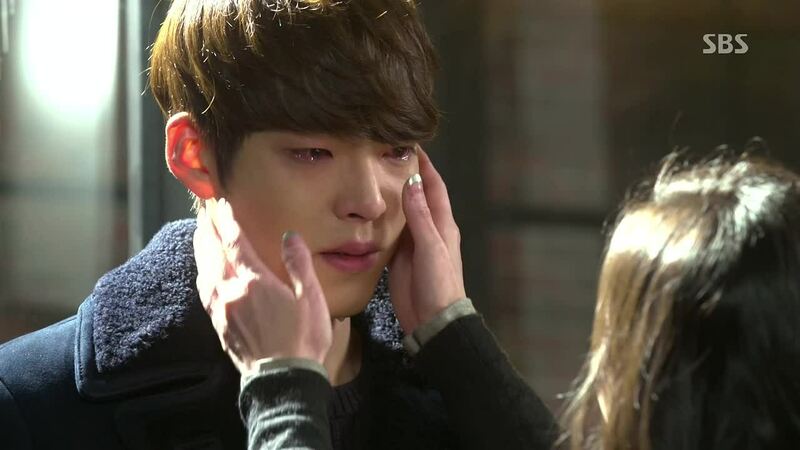 In the end, Hyun Joo and Won just couldn’t be, as Won chose the company and Hyun Joo couldn’t hold onto him. 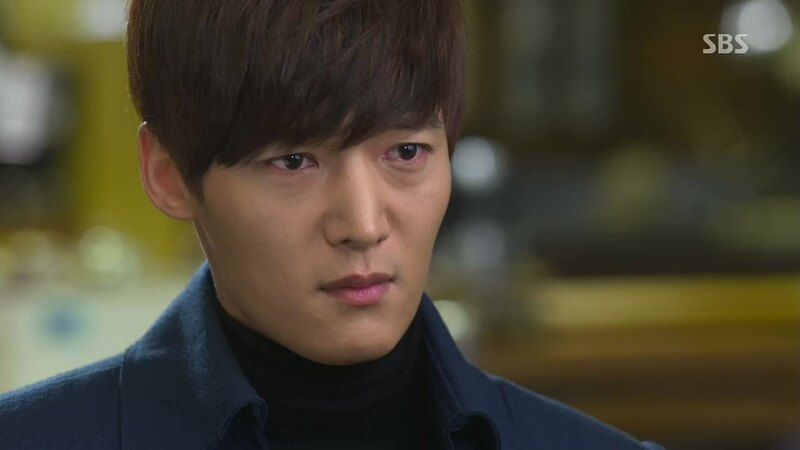 While their decisions don’t make us happy, it was their own, for Hyun Joo was always ready to say goodbye and Won made a decision that no one was forcing him too. I can’t understand their decision, though, and I don’t think the writer wrote Won’s reason for marrying the other girl very well. You could tell the writer just needed Won to make that decision for the sake of pushing the point of the crown and its burden. There was a lot of narration in this episode to give the writer time to explain her story, her goal, and the points she was trying to make. There was too much summarization going on, leading to a decrease in the emotional impact of what one well-written ending scene could have give us. Alas, this is what we got, and this is what we have. Yet, despite its flaws, I was happy to see so many smiling faces in this episode because I have grown to care about the characters. Their joy was my joy; their pain was my pain. I was happy to see Tan smiling happily in front of Won, his mom, and his dad. I was happy to see YD’s dad finally showing himself as a caring and upright father. I was moved by YD’s reunion with his mother. It warmed my heart as always to see Chan Young and his dad’s warm relationship, and Bo Na and Chan Young’s adorably uncomplicated love. It tickled me just to see R and HS stand next to each other. It made me sad to see Hyun Joo wave goodbye to Won. I almost cried when Tan and Hyo Shin embraced before Hyo Shin left for the military. 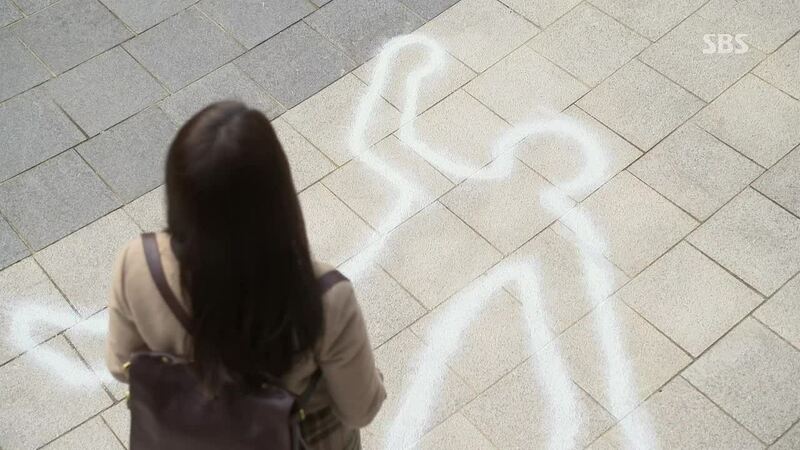 And I teared up when Eun Sang revealed that body outline is drawn by a different student every day. That body outline was a symbol of the hopelessness and desperation that each of the students felt at one time during their high school lives. It was a silent and secret way for them to express what they had to keep bottled up inside as they tried to appear grown up and mature to the outside world. 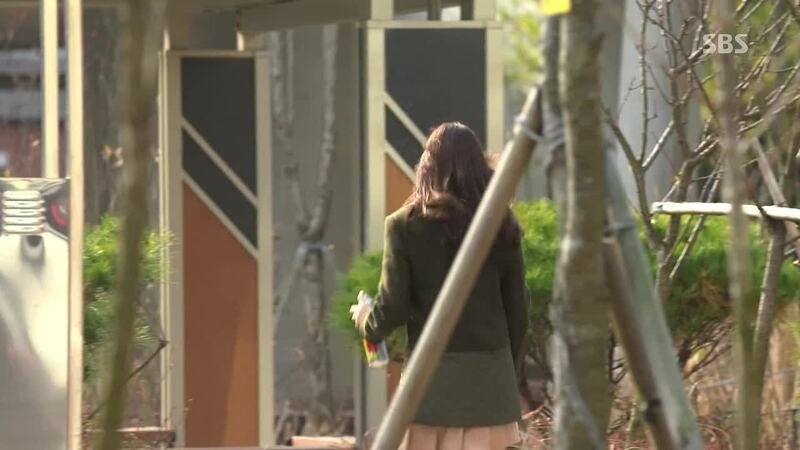 Eun Sang realized she shouldn’t be envious of these Jeguk High kids because they were just like any other ordinary teenager- sometimes scared and sometimes lost. So throughout this drama when I saw Tan, Young Do, Eun Sang, Rachel, and Hyo Shin cry, hide, or run away, my heart went out to them. And when I saw them smile, fight, grow up, and move ahead, I cheered them on. And now at the end of this drama, I will continue to do so. Thank you, everyone. The past ten weeks have been some of the most exhausting weeks of my life but also the most fun. It was stressful trying to make sure I had the time and energy to recap every Wednesday and Thursday night, but now I don’t know what I am going to do with myself when next week comes along. 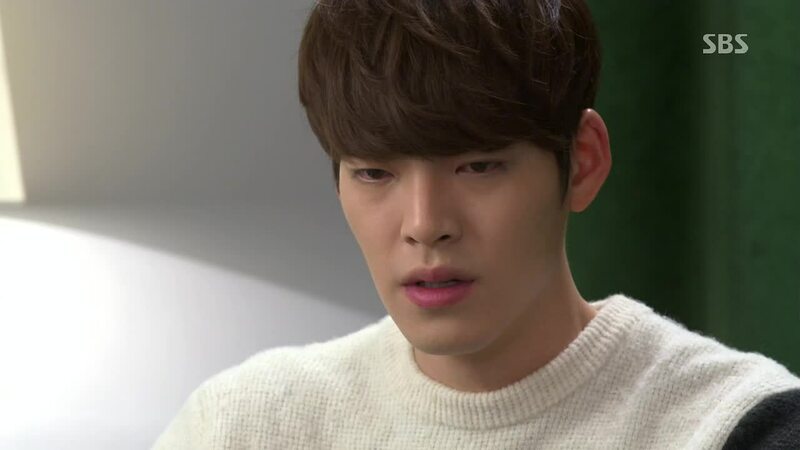 I’m going to be moping for the next couple of weeks feeling empty and lost without The Heirs and you guys to look forward to and enjoy together. I’m going to be well-rested, yes, but I am going to be weepy. I’m tearing up just writing this. The drama alone couldn’t have sustained me the past couple of months; it was you guys who gave me so much encouragement and understanding that I could keep running back home on Wednesday and Thursday to recap. Truly, by blogging I have met some incredible people in the past, and I am happy to see that the trend continues with this drama. Your kind words, passionate discussion, and excitement for this drama fueled me through the sleepless nights. By chance, am I going to miss you? I have to give a special thank you to Softy, who is one of those incredible people I met through blogging. She was there for me from the very beginning, listening to me whine and complain about how tired I was, making all the drama headers, and meeting me every weekend to toast to another two episodes successfully recapped. She even forgave me for falling asleep on her while she was talking. My excuse is that the taxi was warm, I had slept one hour the night before, and my stomach was full of Thanksgiving turkey. She understood. She had also bought me that turkey (bless her heart). Softy will be live recapping Man from the Stars (the drama airing next on SBS) on her blog starting next week, so make your way over to Cadence for some delicious Kim Soo Hyun. 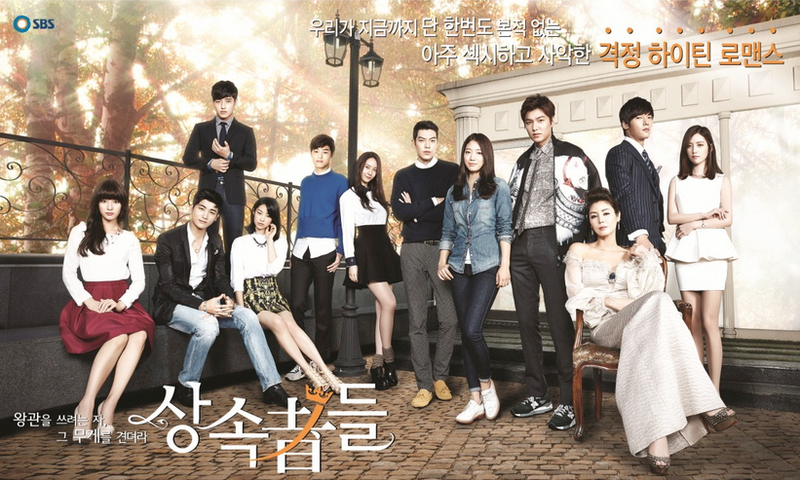 The Heirs was obviously a polarizing drama of which many loved and many disliked, for various reasons. Objectively, this drama didn’t have the best writing, directing, and acting across the board. There were a lot of little story lines that had potential, but didn’t go anywhere or live up to it. There were shortcuts in the writing that skipped over character and plot development. Sometimes the story was stagnant, and sometimes it moved too fast. There were times when the directing lacked energy, and there were other times when the actors couldn’t relay all the layered emotions of a scene to us. One part of me sees all the flaws, but another part loves this drama despite it all. It was at that moment I understood Tan’s youth and pain, the same burden that Eun Sang, Young Do, Rachel, and Hyo Shin carried. These kids were forced to live like grown ups, due to their wealth or poverty, and the different family situations they each were in. They were all asked to carry a burden that in a ideal world, they shouldn’t have. The mistakes they made, the foolish actions they took, and the passion they did all of that with were what they could do at that age. Only seeing what was in front of them at that moment and feeling like tomorrow wasn’t going to come, Tan, Eun Sang, Young Do, Rachel, and Hyo Shin gave all that they had to that single day. Such recklessness and passion resulted in foolish decisions and sometimes more unnecessary pain, but it was all part growing up and learning what it is in life that is worth fighting for and what is worth bearing the weight of. Young Do, Tan, and Eun Sang learned that they are the architect of their own lives, and they have to choose what they are going to build it out of. Will it be wealth, hopelessness, loneliness, anger? Or will it be love, friendship, and joy? Will they walk the journey of life holding someone’s warm hand, or will they keep taking one painful and lonely step one after another? While these kids will continue to grow and face different trials in life, I am happy to see that they have built a good foundation for the rest of the journey. 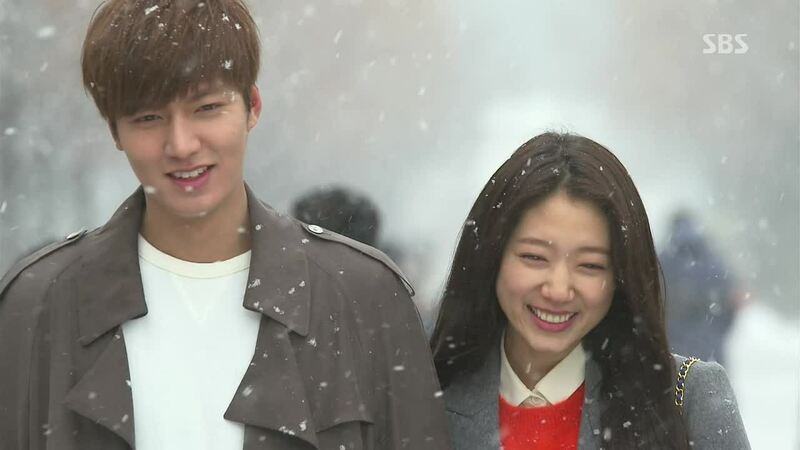 Tan, Eun Sang, Young Do, everyone, I’m going to miss you. I have memories with you. I will hide them well. And take it out alone to see. They will give me strength when I miss you. As I have blogged, each episode, each week, and each drama have become verses, pages, and chapters in my life, as the stories filled my head, the characters came alive, and I shared with other drama lovers. I’m so happy to have The Heirs bookmarked in my life, and I look forward to more. Thank you, everyone, for writing the pages with me. Thank you for all your work on these episodes. Made waiting in the States a bit more bearable. 🙂 I believe the author of the script left room for there to be a continuation of story to become a series with at LEAST a season two. Would be nice, but if it would be true to form, as with the other dramas we’ve seen, it’s not likely. We’ve enjoyed all their hard work in this project. Hey, i don’t know who u re or wat u do, where u come from or where u live. Wat i only know is dat u touched my heart….. For years or let me say all my life i have been looking for who understands the emotions involved in watching films, i never found one till now…….i will really appreciate it if u can contact me. Thanks a lot…. 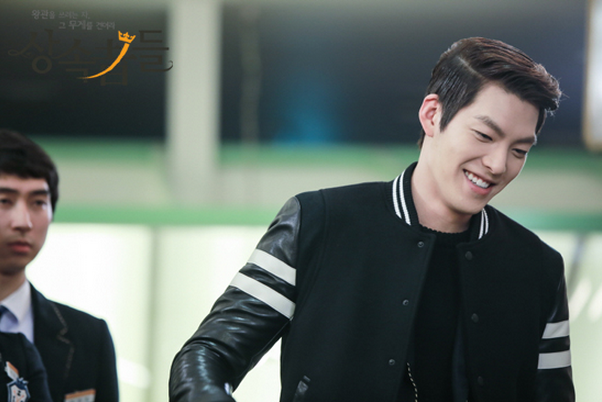 And as for the heirs i will surely miss it just like u. Hey I liked this recap alot, and I’m glad someone else knows the feelings that were involved in this last episode. Feel free to contact me and since I love korean drama’s, we will end up going to the same school, then who knows! Just kidding, let this be our one moment where our individual paths of life cross over, just for a split second, then we continue our lives, in parallel to one another. Thanks so much! 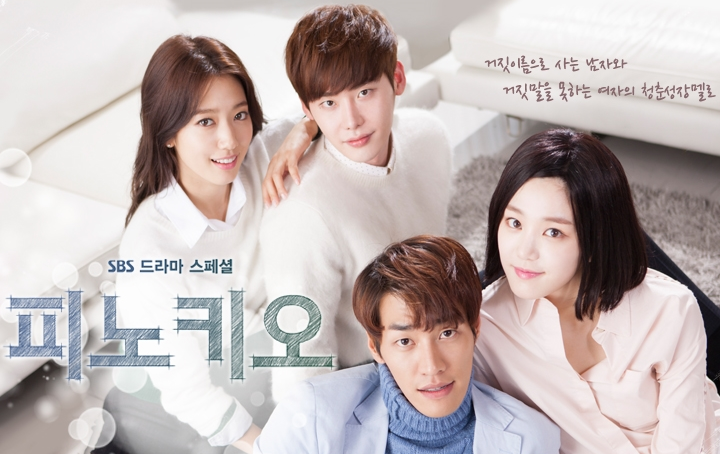 I enjoyed ur blog so much as it helped me interpret some of the things in this drama and I love this drama! 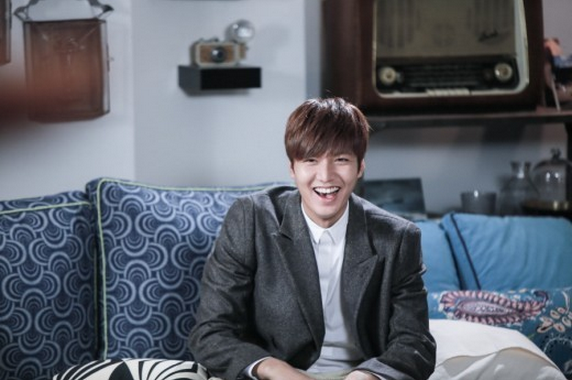 I just have to say I love, lee min ho he is sooooo handsome and such a ladies man. I own all of his movies although I wish that they were in english. But it really does not matter because I buy them and read the subtitles for hours watching episodes after episodes. I just can’t get enough of this ladies man. Same here! He is completely adorable! Wow! i really love the film,it is really a great job.Park Shin and Lee Min,i so much love u. Has anyone received their Heirs DVD? If so can you please share the bts and ng’s with me. Thank you! Hey joonni, how are you now? 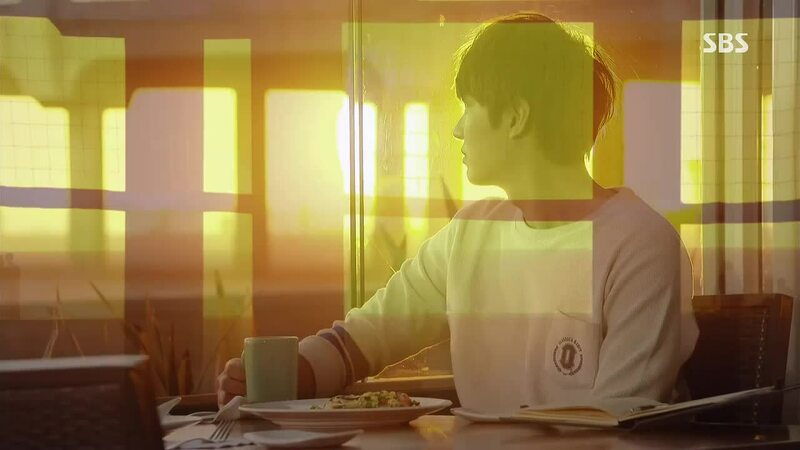 missed the night life here,hhehehe… The two nights a week from Oct to Dec2013 watching and the same time reading your recap abt Heirs. Hope to hear from you again joonni, pls let us know. Always stay happy and healthy, God Bless. Thanks again! no oone else realize such detailed approximmately myy trouble. wow. It’s really really nice. Woow! 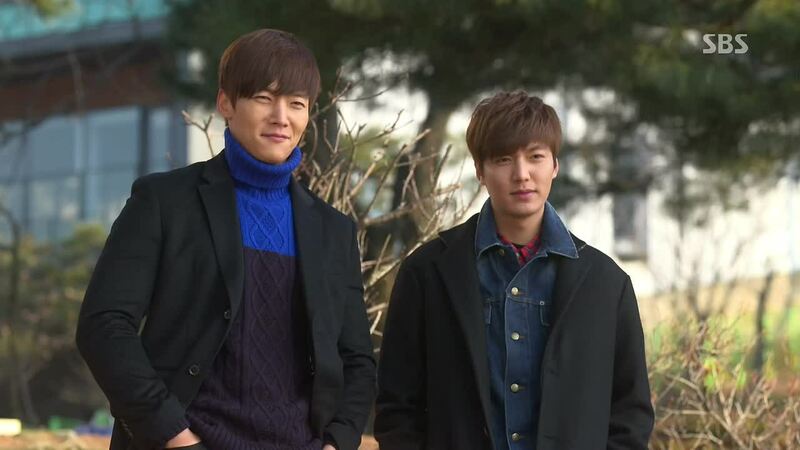 I Really Like This Drama Especially Lee Min Ho And Park Shin Hye I Love Them Xo Much. Can someone tell me what is the song called in the ep20 at 44.5min approx, when Young Do is at the Bike shop and he pulls out a bandaid? !